When people hear the term “real-time content,” they may think of it as “improvising” or “winging it.” But whether you’re organizing a conference, product launch, or other type of event, it’s important to have a well-planned strategy that blends with the authentic live experience. 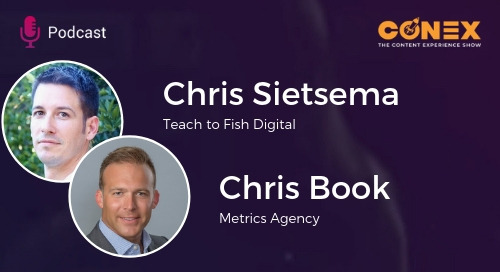 The question this week’s guest on the Conex Show has committed herself to answering is, “How does strategy fit into real-time content?” When it comes to real-time content, it’s important to be flexible and jump on topics rapidly, while still creating content that engages your customers. Lauren Teague, Strategist at Convince & Convert, joins the Content Experience Show to discuss strategies for engaging through real-time content. Teague comes from a sports background and shares her experience of creating real-time content for sports audiences. She explains how challenging it is to anticipate one winner, have the game go a different way, and be prepared to create new content on the fly. When it comes to in-event content, there’s always the question of, are we going live or are we manufacturing live? Being truly committed to creating real-time content doesn’t mean you’re not going into an event prepared, it means you know what you’re looking for, and have a strategy in place to communicate live events as they happen. Teague defines her approach as being R.E.A.L., which stands for rapid, engaging, aim, and live. These four elements are important to consider when it comes to creating content that is both authentic and of interest to your customers. Get The Content Experience Report for free here. Find out more about Convince & Convert here. Find out more about Lauren and keep up with her speaking dates here. For more insights from your favorite marketers, visit the Conex: The Content Experience Show stream. 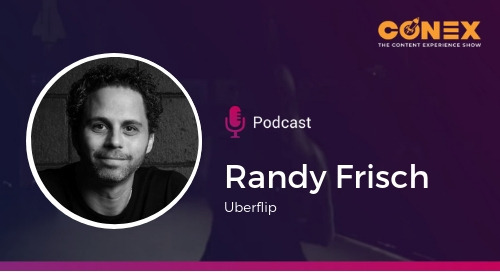 As President and CMO, Randy runs around daily between marketing, strategy, operations, sales and execution of Uberflip's awesomeness. Looking for more expert advice? Check out our Influential Opinions video series! 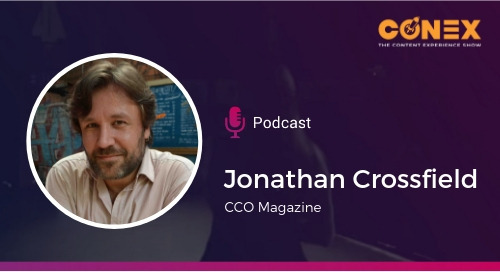 Jonathan Crossfield, Editor of CCO Magazine, joins the Content Experience Podcast to discuss what marketers must embrace (and avoid) in content writing. 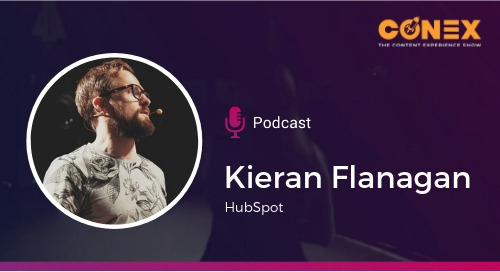 Kieran Flanagan, VP of Marketing and Growth at HubSpot, joins the Content Experience Podcast to discuss the need for alternatives to "hacking" content. 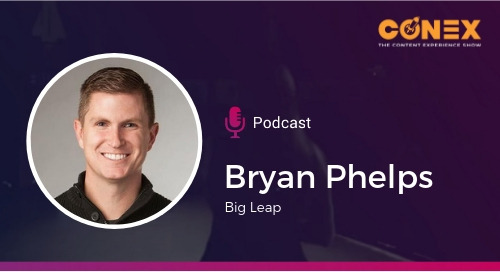 Bryan Phelps, CEO of Big Leap, joins the Content Experience podcast to discuss what marketers get wrong about integrating content strategy and SEO. 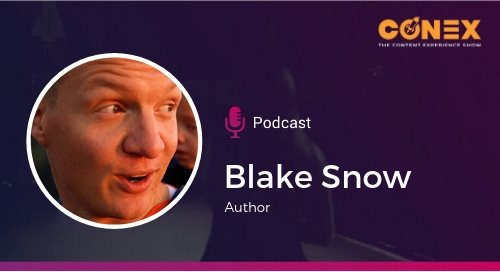 Blake Snow, author of Log Off, joins the Content Experience Show to discuss how logging off and offline rest foster creativity in digital marketers. 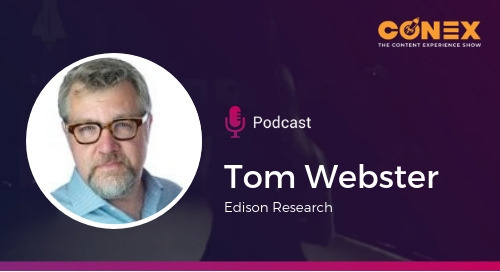 Tom Webster, VP of Strategy and Marketing at Edison Research, joins the Content Experience Show to discuss the rising popularity of smart speakers and how to succeed as a brand in voice search. 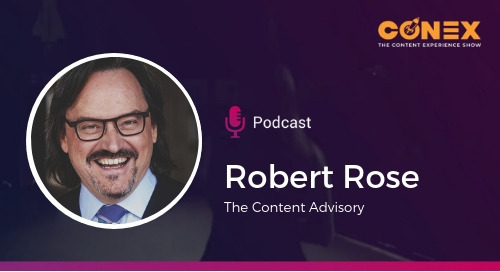 Robert Rose, self-described Chief Troublemaker at The Content Advisory, joins the Content Experience Show to discuss the importance of a documented content strategy. Randy Frisch becomes the guest in this special Content Experience Show to discuss his new book F#ck Content Marketing: Focus on Content Experience. 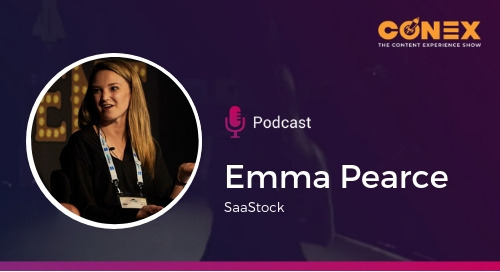 Emma Pearce, Head of Event Content, Global Portfolio at SaaStock, joins the Content Experience Show to discuss the importance of being a curator, not a creator, when organizing content for events. 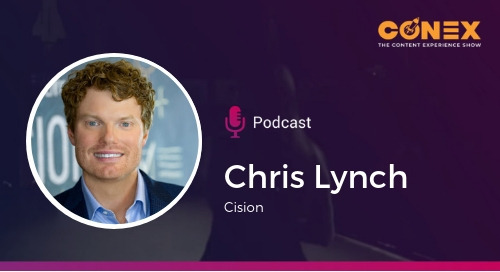 Chris Lynch, Chief Marketing Officer at Cision, joins the Content Experience Show to discuss the evolution of earned media in the social media landscape. 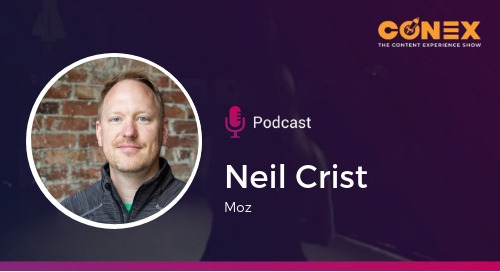 Neil Crist, Head of Product and Engineering at Moz, joins the Content Experience Show to discuss the ins and outs of local search and why just showing as a result is not enough. 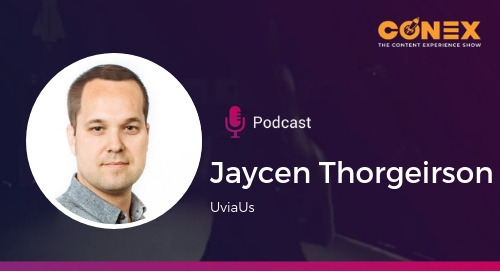 Jaycen Thorgeirson, Founder and CEO of UviaUs, joins the Content Experience Show to discuss building emotional connections through experiential marketing. 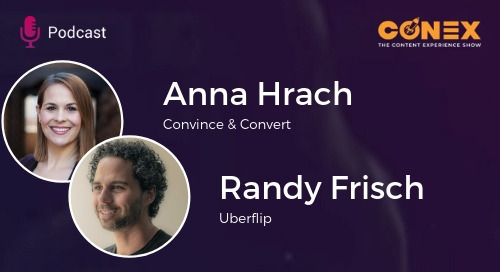 In this special episode of the Content Experience Show, co-hosts Randy Frisch and Anna Hrach discuss ten of the top marketing trends and where they are heading in the new year. 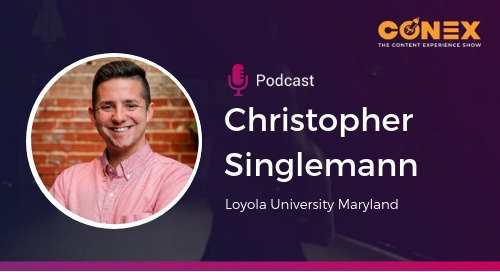 Christopher Singlemann, Videographer at Loyola University Maryland, joins the Content Experience Show to discuss personalized video content and keeping authenticity first. 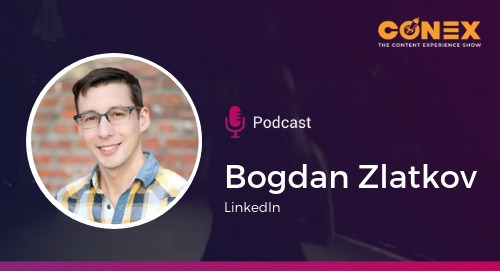 Bogdan Zlatkov, Content Marketing Manager of LinkedIn Learning Solutions at LinkedIn, joins the Content Experience Show to discuss using data to create useful content tied to your products. 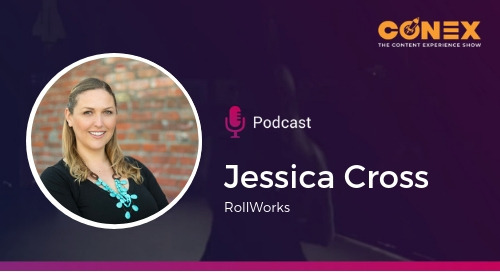 Jessica Cross, Manager of Demand Generation at RollWorks, a division of AdRoll Group, joins the Conex Show to discuss taking content beyond top of funnel to direct the entire customer journey. 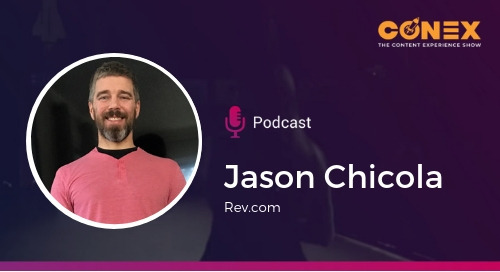 Jason Chicola, Founder and CEO of Rev.com, joins the Content Experience Show to discuss how transcribing, captioning, and translating your audio can greatly enhance your content strategy. 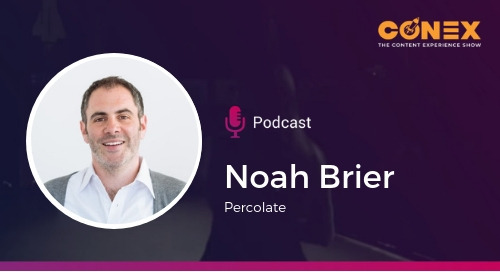 Noah Brier, Co-Founder of Percolate, joins the Content Experience Show to discuss bottlenecks and enhancing creativity through better processes. 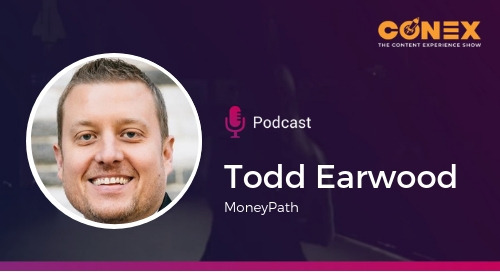 Todd Earwood, Founder and CEO of MoneyPath, joins the Content Experience Show to discuss the union of sales and marketing along with some surprising findings on webinars. Chris Sietsema and Chris Book join the Content Experience Show to discuss solutions to measuring content and why creators should hold the responsibility. 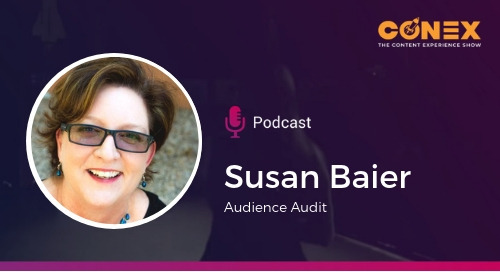 Susan Baier, Head Honcho at Audience Audit, joins the Content Experience Show to discuss better audience segmentation through attitudinal personas.